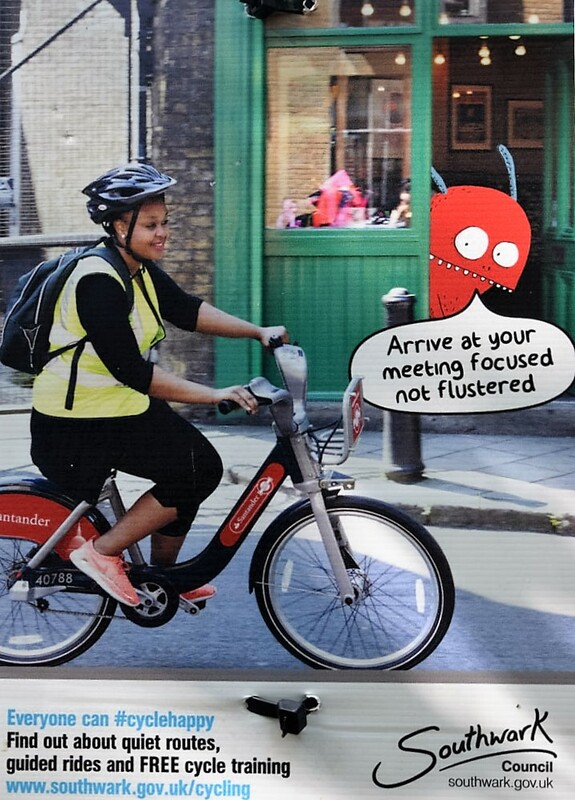 This is a community initiative to highlight the anomaly whereby a big chunk of London is mysteriously missing Santander Cycle Hire Scheme coverage. We are campaigning to complete the coverage to include Bermondsey and Rotherhithe. We are pleased to see that Southwark Council supports the Cycle scheme. But where are the hire stations? This photo was taken in Russia Dock Woodlands. Good idea but there are NO hire stations ANYWHERE in the whole of Rotherhithe!